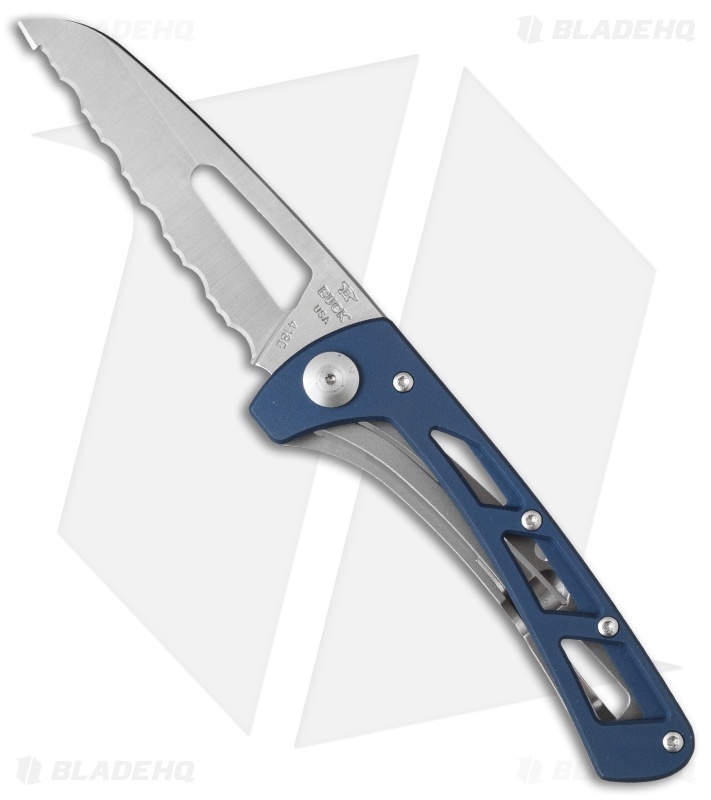 Make your next hiking trip more enjoyable with the lightweight Vertex folder from Buck Knives. It has a 3" wharncliffe blade with a fully serrated edge to make quick work of rope and other fibrous materials. Minimal design is on display with the skeletonized handle. The front side is blue anodized aluminum with a stainless steel framelock and pocket clip on the back side. 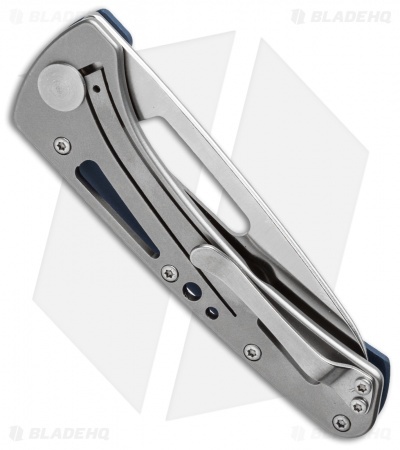 Buck's Vertex knife is a compact design that's perfect for everyday carry. Fully serrated blade rips through fibrous materials. Strong, slim stainless steel frame lock handle with pocket clip. Skeletonized handle is extremely light weight, making your excursions more enjoyable.